Maybe "desecration" is an overstatement. 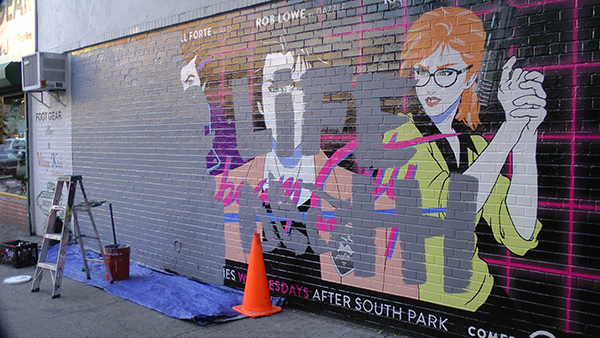 Maybe "the artists was putting primer over the existing mural to prepare for the next mural" is more accurate! Either way, the walls of the buildings in the East Village are constantly changing from one mural to another. As the old saying goes, "Take a picture, it'll last longer"… in the East Village Today!